There’s been a deluge of new books about Disney—animation, animators, theme parks, and the man himself. I wish I could tell you I’ve read them all, but I haven’t. Although I enjoy animation and am fascinated by Walt, I’m most interested in the parks. Today, I’m highlighting twelve titles with publication dates since the beginning of July 2015, along with why I want to read them. Ten of these books have all been well-received by online reviewers. The other two aren’t available yet, but should be outstanding books. I need to point out, “Yesterland is a participant in the Amazon Services LLC Associates Program, an affiliate advertising program designed to provide a means for sites to earn advertising fees by advertising and linking to Amazon.com.” That means I benefit financially if you use the links in this article to buy any of these books (and any other items at Amazon). , Curator of Yesterland, December 11, 2015. When nineteen-year old “Sully” began his summer job as a Jungle Cruise ticket-taker in July 1955, he had no idea it would be the beginning of a 38-year Disney career. His first promotion was to Jungle Cruise skipper. By the time he retired in 1993, he was vice-president of Magic Kingdom Park in Florida. His path included key positions at Disney’s Winter Olympics pageantry in 1960, the Disney-designed pavilions at the 1964-65 New York World’s Fair, and EPCOT Center. William “Sully” Sullivan was inducted as an official Disney Legend in 2005. And now “Sully” has put his stories into a book (with assistance from Disney historian Jim Korkis). I expect it to be filled with entertaining stories and behind-the-scenes details that have never previously been published. 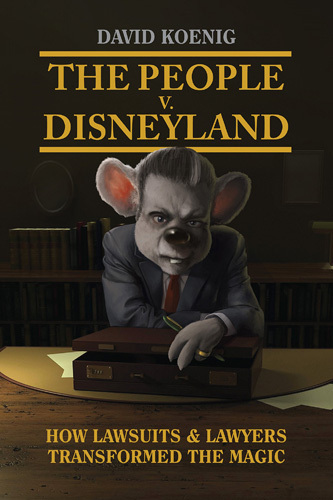 I expect this book to reveal a different side of Disneyland—legitimate and bogus legal actions, how Disneyland has dealt with them, and how lawyers have changed the park. It should be a good read. Sounds good to me! The authors’ unique perspective and their skills as communicators (podcasters) suggest that this book has insight and information not found anywhere else. I declined an advance review copy from Jeffrey Barnes, the book’s author. There were too many other books I wanted to read. And, truth-be-told, I’m not a fan of self-improvement books, such as those offering “leadership success factors.” Although we can all gain insight and perspective from reading, I normally don’t want a book to tell me, “do this” and “don’t do that.” If I read about someone who succeeded through perseverance, I can learn from it without having an author beat me over the head with a lesson. 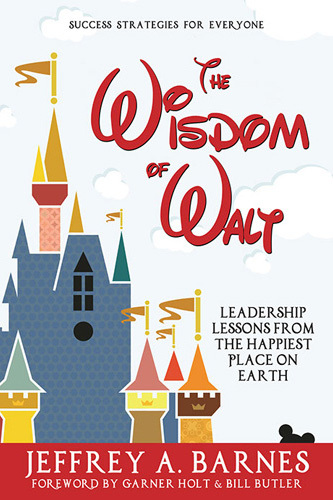 At D23 Expo in August 2015, Jeffrey Barnes recognized my name tag, had kind words about Yesterland, and insisted on giving me an autographed copy of The Wisdom of Walt. It’s a beautiful hardcover book. When packing for a recent vacation, I grabbed it at the last minute as vacation reading. I’ve only read a quarter of it so far, but I’m surprised how much I’m enjoying it—despite the genre. 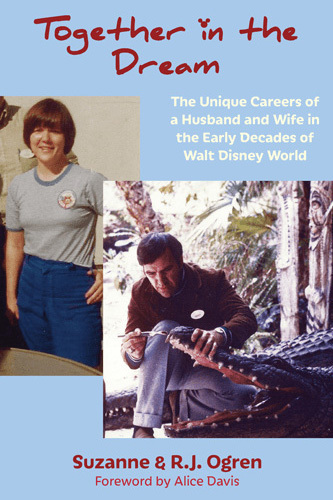 Barnes presents Disney history and trivia, weaving in his own successes and failures in an entertaining way. I plan to finish the book. This book, Epcot’s World Showcase, focuses on one of the most and least successful sections of any Disney theme park. Eleven international pavilions surround a lagoon with more than a mile of shoreline. As a themed environment, it’s successful and delightful. But it never became the “permanent World’s Fair” that the company envisioned in the 1970s. Except for the Kingdom of Morocco (and Norway to a very limited extent), countries that would normally participate in World’s Fairs declined the opportunity. I almost omitted this book from this article. Based on the description, it seems to be a cross between a basic travel guide [offering, for example, “the best places to eat, from table-service restaurants to kiosks, and what you’ll find on the menus”] and a design reference [offering “the history of each pavilion, with helpful tips on finding (and appreciating) its historical and architectural details”]. 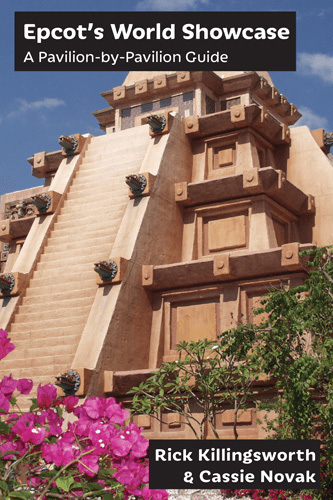 I don’t need a travel guide to tell me what World Showcase offers, but I would enjoy learning more about its design. Others might enjoy both aspects. 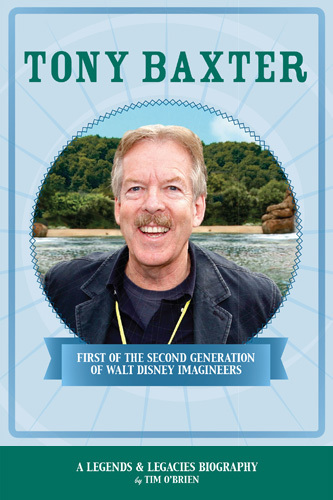 Tony Baxter, former Senior Vice President of Creative Development at Walt Disney Imagineering (WDI), retired in 2013 after a staggering 49 years with the company (he started as a 17-year-old ice cream scooper at Disneyland)—and was promptly inducted as a Disney Legend (well-deserved). He is beloved by Disney fans—both for his outstanding accomplishments and for his willingness to share with fans. Now he’s sharing his experiences in this book by theme park historian Tim O’Brien. Officially, Tony Baxter was published October 30, 2015, but, so far, it has always shown as “temporarily out of stock” at Amazon. Let’s hope that changes soon. I really want to read this book. The 53-year Disney career of WDI executive (and Disney Legend) Marty Sklar—1955 to 2009—is even more staggering than Baxter’s 49 years. 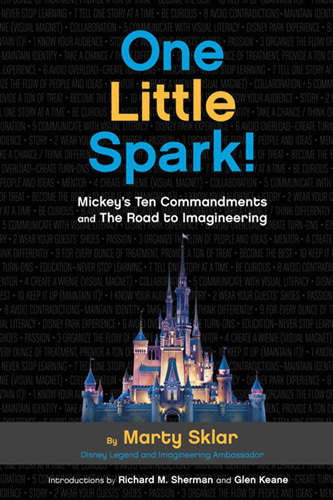 This seems like a “must have” book for anyone who is interested in Imagineering. This is the only book in this list published by The Walt Disney Company. Publisher: Progress City Press, L.L.C. 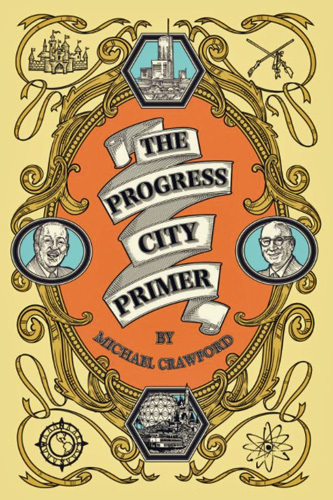 From the Progress City Archives comes this collection of tall tales and true from the annals of the Walt Disney Company. From Walt’s on-set antics to the creations of modern-day Imagineers, we’ve put together a sampling of stories from throughout Disney history. SEE how Walt Disney befriended presidents and saved the Winter Olympics! HEAR how Imagineers created the technological wonderland of Epcot Center! READ the true-life tales of never-built Disney theme parks Port Disney and Disney’s America! Join us as we explore the obscure and amusing corners of the Disney universe. From Fantasia to Horizons, there’s something here for every fan. I’ve enjoyed other work by Michael Crawford, so this is on my list. 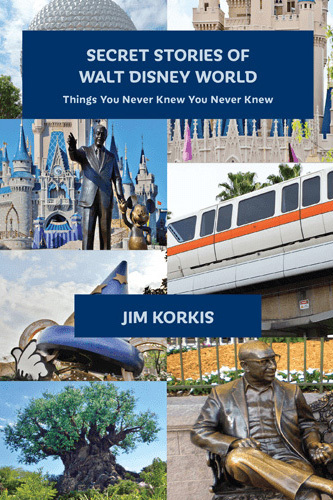 No one knows Disney history, or tells it better, than Jim Korkis, and he’s back with a new set of 20 stories from his Vault of Walt. 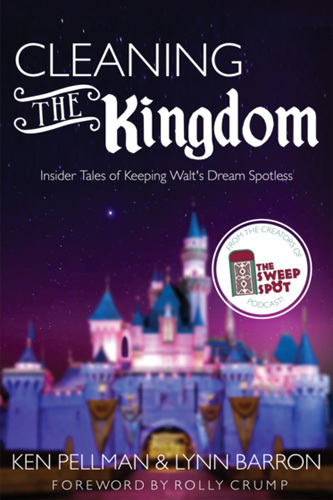 Whether it’s Disney films, Disney theme parks, or Walt himself, Jim’s stories will charm and delight Disney fans of all ages. 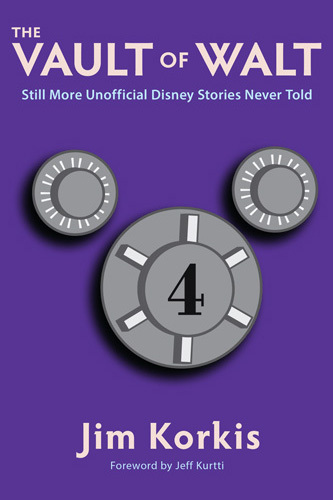 The best-selling Vault of Walt series has brought serious, but fun, Disney history to tens of thousands of readers. 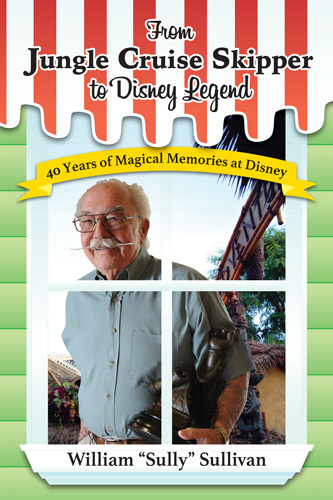 Now in its fourth volume, the series features former Disney cast member and master storyteller Jim Korkis’ home-spun, entertaining tales, from the early years of Walt Disney to the present. Having read previous volumes, I look forward to reading Volume 4. Jim is a friend, and he writes excellent books. There are all sorts of books and online articles claiming to provide “secrets” about Disney theme parks. I’ve avoided the books because I don’t know if I would learn much I don’t already know, and I’ve cringed at the many obsolete and downright wrong “facts’ online. Jim Korkis has now entered this field. I haven’t seen the book, but apparently it’s quite different from the usual trivia lists. Jim has organized his book as a collection of succinct two-page particles, each about a specific topic, and (based on the excerpt I read) each brimming with historical details and things you might miss if you didn’t know about them. This could be the start of a new series! I had never heard of the Ogrens. Why should I read their book? I almost omitted it from this list, but then I read a brief excerpt about Dopey’s head, which had been stolen from the Snow White attraction. I was hooked. I want more. Not only Disney Legends have good stories to tell. Walt and Roy Disney hired Cornelius Vanderbilt Wood Jr.—or C.V. Wood, as he was usually called—as Disneyland’s first official employee. C.V. was instrumental in making Disneyland a reality and was the park’s first general manager and the vice president of Disneyland, Inc. Only Walt had more authority. In January 1956, when Disneyland had only been open a half year, C.V. was abruptly gone. People come and go at companies all the time. But this was different. C.V. Wood has been erased from official Disney history. For 60 years, in countless official publications about Disneyland, C.V. Wood does not exist. Surprisingly, the D23 online version of Dave Smith’s Disney A to Z now has a three-sentence entry for “Wood, C.V., Jr.” But that’s about the extent of any official acknowledgment. 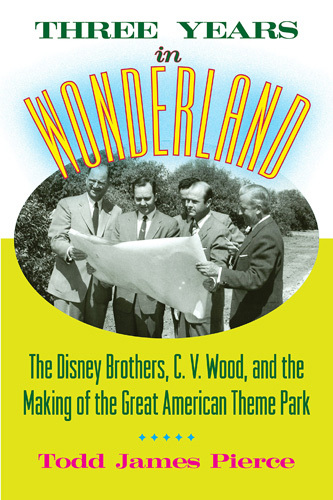 After years of extensive research, including over one hundred unpublished interviews, Disney historian Todd James Pierce has written a book about the birth and infancy of Disneyland, with the untold details of C.V. Wood’s rise and fall. Of all the books in this list, I am most intrigued by this one—but I’ll have to wait the longest because the expected publication date is not until March 1, 2016.